The Crocodiles of Kansas City from Bright Eye Cinema on Vimeo. It’s time this is made public web-wide: In 1961 Pat Nichols’ son brought home a baby crocodile in a plastic bag. By the mid-90’s Pat had established an add-hock sanctuary for well over a dozen adult crocodiles and countless birds at what became known as the Parrot Hill Crocodile Farm in Kansas City, Missouri. A colorful matron and maverick, she struggled to keep control of her bazaar and treacherous home, and protect its residents from the outside world. In 1997 I was graduating from art school and needed some extra cash. “The Crocodiles of Kansas City” consists of recordings I made while performing my duties working for Pat Nichols. Later, after dusting off the SVHS tapes, I edited this documentary. As word has gotten out about this video, I’ve been contacted every so often by others who at, some point, visited Pat and her beloved animals and felt they needed some proof to back up their own stories. I’m finally posting this record in an attempt to encapsulate the experience and share an individual, the likes of which I will never know again. Video Feedback: Pixel Behaviors from Bright Eye Cinema on Vimeo. Life appears to emerge in patterns of pixels in this demonstration of the “Video Feedbackteria” phenomena, seen within an interactive projection at the Museum of Contemporary Art Santa Barbara. These strange behaviors occur between a video camera and projector, without a computer. Santa Cruzing Swift Street from Bright Eye Cinema on Vimeo. Local man, Dave Stimpson, gives a guided tour of his blossoming neighborhood, complete with soap-on-a-rope and gin. Originally produced for Turn Here. Having watched this one again recently, I had to laugh, dust it off and post it! Lead fragments left in the remains of hunter-shot game can be lethal to scavenging wildlife. This hunter education video encourages the switch to copper ammunition, in compliance with California law. It’s been well received by many hunting communities and we’ve recently made this video available online. In the Summer of 2012, Jonathan Smith and I witnessed a massive wild bee hive, which immediately became a creative muse. Interested in what research indicated about how bees work with heat, we borrowed a thermographic camera to see for our selves on 12/12/2012, as part of the One Day On Earth global documentary project. The results are startling, giving a view deep into a singular biological system. Since then, we recorded this strange structure and its residents in our production of the “Bee Cell”, a major video installation for the “Swarm” exhibit at Lotusland in Montecito, California. Getting up close with these birds and the people who have committed to saving their species has been rewarding on all levels. I was a cinematographer and researcher for this documentary and am pleased to see it reach an audience, most recently at the Santa Barbara International Film Festival, where it premiered. Congratulations to director Jeff McLoughlin! 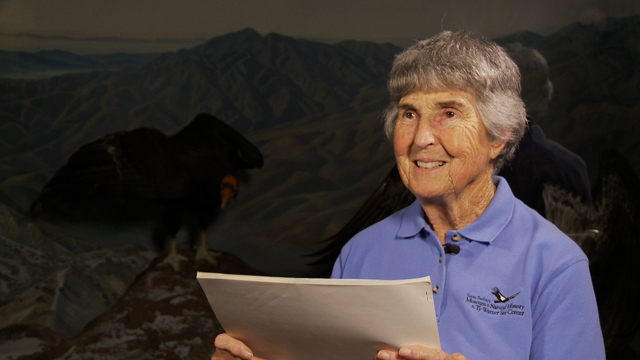 Jan Hamber has officially worked with the California Condor Recovery Program since 1976, seeing both heart-break and hope. Last week we had the pleasure of interviewing her the Santa Barbara Natural History Museum and recording some readings from early field notes. It’s an inspiration to listen to stories from someone who’s made a real difference in giving a fighting chance to a species on the brink of extinction. Joe Andrieu approached me to help him communicate his company’s complex product to investors and tech executives. We had 5 days before a conference he wanted to screen it at, so we knew we’d need a lot of caffeine and a little humor to get us there. I even cameo. Santa Monica from Bright Eye Cinema on Vimeo. By the end of the process of shooting this piece for Santa Monica Visitors Bureau I was ready to stay for a vacation. The Farmers Market is the largest I’ve seen and I could have recorded the shapes and colors in every tent.